Tough business. The 5330m packs a standard voltage Sandy Bridge Core i5 CPU with a healthy amount of security software, all wrapped in a 13.3-inch magnesium alloy case. 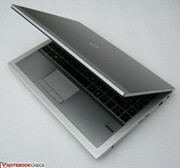 See how the features stack up and if this notebook is a worthy successor to the 2009 ProBook 5310m. The HP ProBook series is a lineup of affordable business notebooks with build quality made to keep up with the constantly moving user. The m series was designed to appeal to a broader range, including the enterprise and consumer markets. With the ProBook 5330m, HP is introducing Beats Audio and a backlit keyboard to the m series for the first time. The model under review includes an Intel Core i5-2520M, although users can opt for a Core i3-2310M for $100 less at $799 USD. Regardless of choice, the 5330m is a huge upgrade, in terms of specs and built-in security features, over the ProBook 5310m released in 2009. At just under 1-inch thick (0.99 inches to be exact), the 5330m isn’t the slimmest notebook around, but it definitely feels solid. The anodized aluminum casing and magnesium alloy chassis both give the notebook a tough and smooth feel. The base can flex slightly, but takes a good amount of torsional force to do so. The lid could have been more firm, unfortunately, as a finger can depress the outside case without much force, especially towards the center. At any rate, the “Durafinish” wear protection coating diffuses reflections quite well and actually makes it somewhat difficult to accumulate fingerprints and scuffs anywhere outside of the screen. At 3.99 pounds (1.8kg), the HP notebook feels quite dense and weighs about as much as the 13.3-inch Sony Vaio VC-SB1Z9EB with the same CPU configuration. The hefty base means that the user can open the monitor with only one hand. In terms of looks, the 5330m roughly resembles the HP 4430s, but with a much more boxy and minimalistic build. Instead of smooth edges and round curves that many other notebooks tend to pursue, the 5330m has a bit of a retro and industrial feel to its construct. Unfortunately, this means that the visual appeal of the notebook will be hit or miss depending on user preferences. Those wishing for a sleek and ultra-modern design will have to look elsewhere. The hinges are good if working on a stable desk, but are not stiff enough to be used during bumpy train rides or otherwise unsteady surfaces. A maximum angle of about 135 degrees is allowed before the bottom of the lid reaches the rear of the notebook base. The 5330m includes an adequate number of physical connectivity options. The built-in card reader could have been more versatile as it only accepts two kinds of flash cards, SD and MMC. A USB 3.0 port would have been nice as well, especially since the 5330m retails somewhat close to the $1000 price point. Still, the ports that are present are easily accessible. While one of the three USB 2.0 ports is an always-on port for charging devices, there is no visual indicator as to which connection is the one to use. Normally, such USB ports are colored yellow, but for some reason HP has neglected to color code the always-on port. This particular port is on the right hand side, closest to the user. Wireless connectivity options include the standard WLAN and Bluetooth 2.1 with optional Mobile Broadband hardware. This specific review model is equipped with a 2x2 Broadcom 43224AGN network card for WiFi, an HP un2430 Mobile Broadband Module for WWAN and a Broadcom 2070 adapter for Bluetooth. Users in the U.S. can opt-in for the WWAN pay-as-you-go DataPass 3G service. Such a feature would mostly appeal to users without a two-year data plan contract with a major cellular carrier. The Bluetooth in particular allows for pairing with the user’s smartphone, which can then be used as authentication for logging onto Windows if enabled. Should the phone be out of range for whatever reason, the user must answer 3 security questions as a substitute. 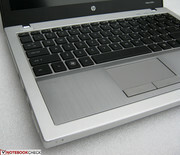 These features, along with the fingerprint reader, make up a portion of the HP ProtectTools software. The standard 1-year limited warranty applies to the 5330m, in addition to a separate 1-year limited warranty on the primary battery. To go beyond the standard warranty, buyers can use the HP Care Pack Services for extras such as on-site troubleshooting (depending on region) and up to 5 years extended warranty. The backlit chiclet-style keyboard is smooth and flat to the touch with an almost MacBook-like look. Its overall size (29.75cm by 11cm) is good and we found no difficulty with it with regards to typing. When pressed, each key is quiet and will depress to the same level as the base surface, making it easier to clean between keys. Every key is evenly spaced with the arrow keys being the only exception. Because of this, the Up and Down directional keys are smaller with mushy feedback and can be difficult to press accurately with larger fingers. Also, there are no dedicated keys for volume, only mute. Adjusting volume by key press is done with the Fn key, although two hands will be required because of the far distance to the corresponding F11 and F12 volume controls. 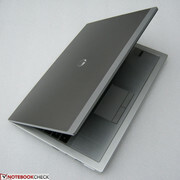 Overall, the keyboard is aesthetically very clean and follows the minimalistic feel of the notebook very well. The touchpad (8.5cm by 4.0cm) on the 5330m is wide, but could have been larger in length for more room. It does, however, support multi-finger gestures with the Synaptics LuxPad V7.5 software, so actions such as pinch-to-zoom and image rotation are possible. 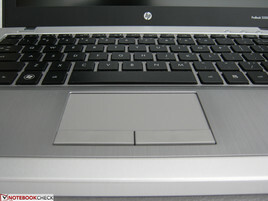 Unlike the ProBook 4530s, the touchpad here supports finger scrolling on the right hand edge. The pad has a smooth plastic feel, but is otherwise responsive and leaves a positive impression. The two keys below the touchpad have a slight and contrasting rubbery texture, but are still quiet nonetheless. While good, they do not offer a satisfying tactile feedback, especially compared to the louder but more firm touchpad keys of the Lenovo X121e. 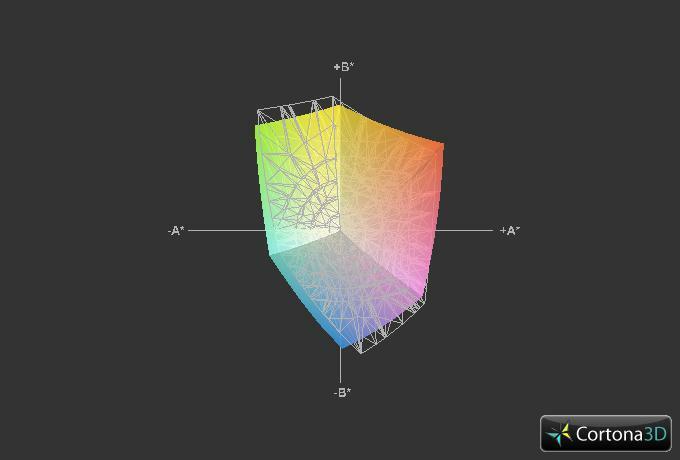 The HP 5330m uses a 13.3-inch antiglare matte display with a native resolution of 1366x768 pixels. This resolution is common for laptops of this size, although competing notebooks might offer the larger 1440x900 resolution at a 16:10 ratio instead. Based on first impressions, the screen could have been a little sharper, but gets the job done. 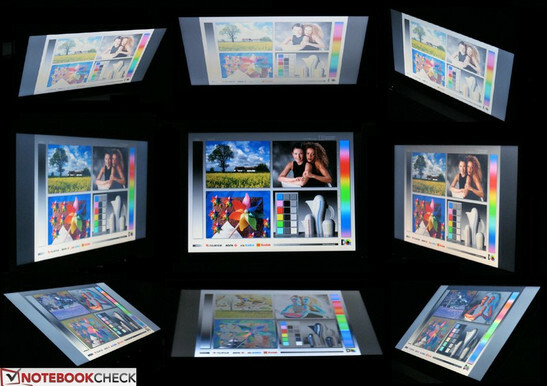 With the X-Rite i1Display 2, a respectable maximum screen brightness of 208.8 nits was recorded on the center of the screen, although the distribution and contrast were quite poor all around. When unplugged, the maximum brightness dipped even lower. 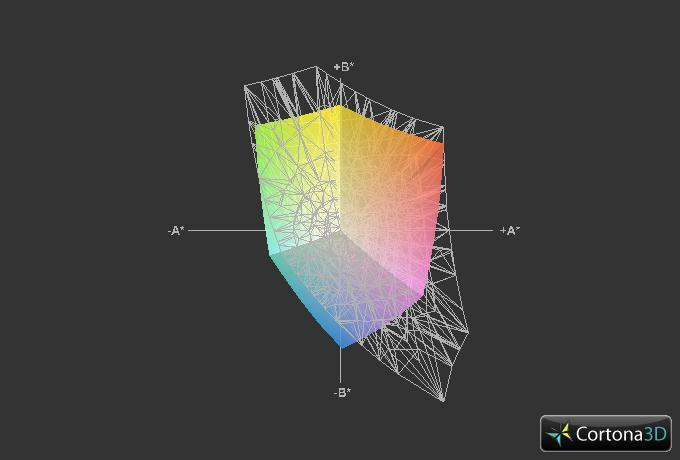 As expected, the color space produced by the 5330m is limited, covering only about 60 percent of the sRGB standard. Compared to the recently released 14-inch ProBook 4430s, the 5330m is on par in terms of color representation, but both are no match for the 15.6-inch ProBook 6560b. Professional graphic artists or heavy Photoshop users should best stay away from the 5330m as a primary notebook. Outdoor use was more difficult than it should have been because of the low brightness levels. Screen glare was not a problem, but expect to ramp up the brightness of the 5330m to its highest if using the notebook outdoors. Viewing angle stability is notebook-typical for a TN panel. Horizontal viewing angles are tolerable, but colors begin shifting almost immediately if viewing at vertical angles from below. The limitation should be fine for a single user, but the notebook isn’t recommended for movies with multiple viewers. 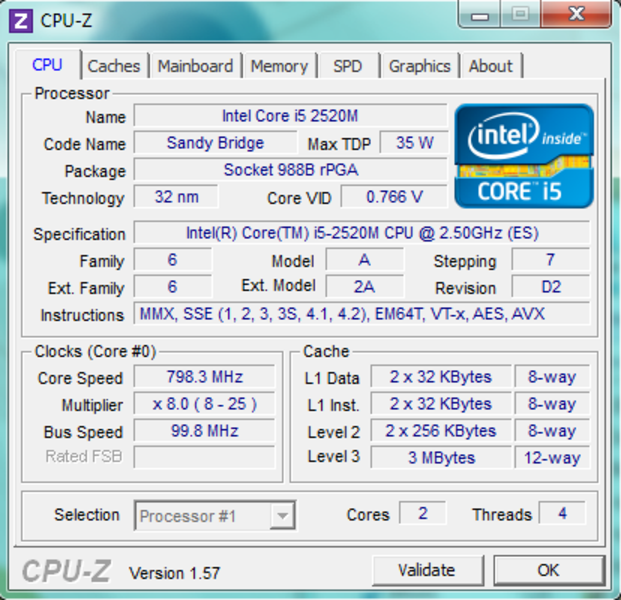 An Intel Sandy Bridge Core i5-2520M running at 2.5GHz powers the 5330m. This dual-core processor is reasonably fast with 3MB L3 cache and support for up to 4 threads. Turbo Boost can automatically increase clock speeds temporarily up to 3.2GHz for a single core or 3.0GHz for both cores. As is common for laptops with second generation Core ix CPUs, the 5330m is equipped with an integrated Intel HD Graphics 3000 GPU. This particular graphics accelerator maxes out at 650MHz, but Turbo Boost can temporarily bring it up to twice that at 1300MHz. Unfortunately, DirectX is supported only up to 10.1 as opposed to the Fusion APUs from AMD, which support DirectX 11. The integrated Intel graphics will borrow from the system RAM as needed. Speaking of system RAM, the 5330m in review is equipped with a single 4GB DDR3 1333MHz module from Micron, but is expandable up to 8GB. To access the RAM, the user must remove the battery cover underneath the notebook first and then proceed to loosen the three screws to expose the hardware. In the CPU-oriented benchmarks, the Core i5-2520M performs very well. Its score of 2349 points in PCMark 7 distinctly outperforms the 13.3-inch Acer Aspire 3830TG (2.3GHz Core i5-2410M) and 14-inch HP ProBook 4430s (2.1GHz Core i3-2310M), which received 1675 and 1995 points, respectively, in the same test. The HP 5330m also scales quite nicely in CineBench R10 tests and the results are in line with the first generation quad-core Core i7-720QM CPU found in the Samsung RF710. When taking into account the integrated GPU, however, the HP notebook cannot compete with the latest discrete entry-level GPUs. For example, The Samsung QX412 includes the same CPU but achieves 2264 points in 3DMark Vantage with its entry-level GeForce GT 520M, while the HP in review scored lower at 1755 points. 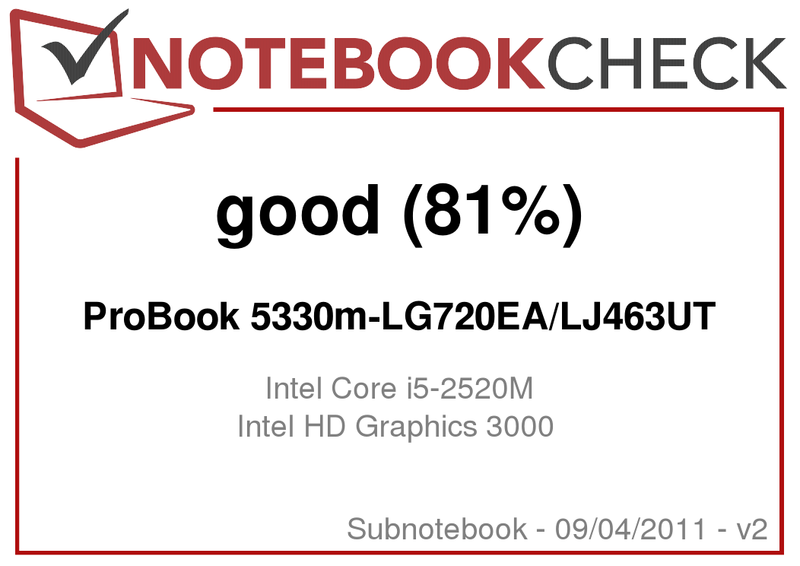 The 5330m notebook isn’t for gamers of course, but it is still greatly improved over the previous generation Intel GMA HD. With that in mind, the notebook should be more than capable for HD video playback, Flash content and extra-light gaming. 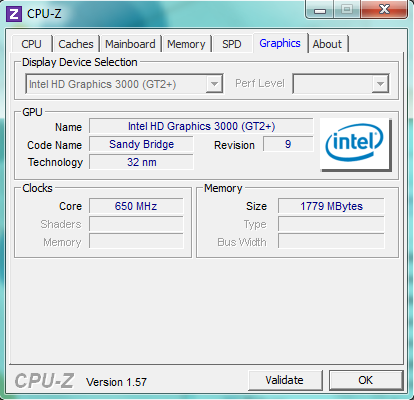 See here for a review of the Intel HD Graphics 3000 GPU. The reviewed model is equipped with a SATA II 500GB Hitachi HTS725050A9A364 7200RPM HDD, although a 128GB SSD and a 320GB SED (self-encrypting drive) HDD are available options as well. Of the maximum capacity, about 13GB is reserved for the HP_Recovery partition and an extra 5GB for HP_Tools. With HP ProtectTools, the entire drive can be encrypted for security purposes or erased multiple times with the HDD Shredder option if needed. This Hitachi drive showed an average transfer rate of 82.4MB/sec on HDTune, which is markedly faster than the 7200RPM Seagate in the ProBook 5310m, the 7200RPM Western Digital in the Vaio VPC-SB1Z9EB and the 5400RPM Hitachi in the Samsung QX412. The built-in HD webcam is capable of recording up to 720p (1280x720 pixels), but sacrifices the smoother frame rates and lower latencies that the smaller resolutions benefit from. It does, however, support HP Facial Recognition for logging on to Windows if enabled. With the DPC Latency Checker, no recurring high latency peaks were identified, even with wireless functions active. The HP 5330m ranges from quiet to moderately noisy, depending on the workload at hand. Basic word processing and web browsing will put the notebook practically silent. The fan will ramp up when playing HD video, but the increase in noise won’t be enough to be excessively distracting. If at full load, however, the fan will be spinning at maximum speeds and could potentially be distracting in libraries, classrooms or conference rooms. Such a noise was produced during stress testing, so the user should be wary of the immediate environment if running CPU and GPU intensive applications. The Core i5-2520M is a full-voltage CPU with a TDP of 35 watts, which is notably higher than the ULV Core i5-2537 at a TDP of 17 watts. Still, the notebook is relatively cool when idle, averaging 25.7 and 27.0 degrees C, respectively, on the top base and bottom surfaces. 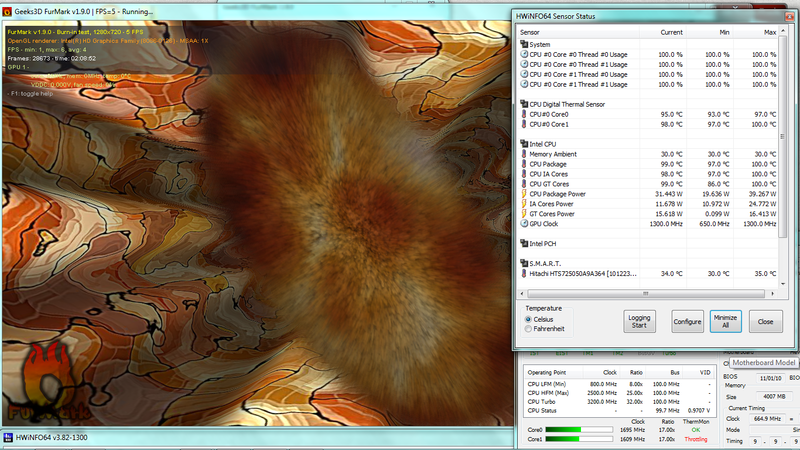 When stressed under both FurMark and Prime95 for over 2 hours, the maximum workload resulted in noticeably uneven increases in surface temperatures. The largest temperature rises are very centralized toward the area closest to the system fan and vent. 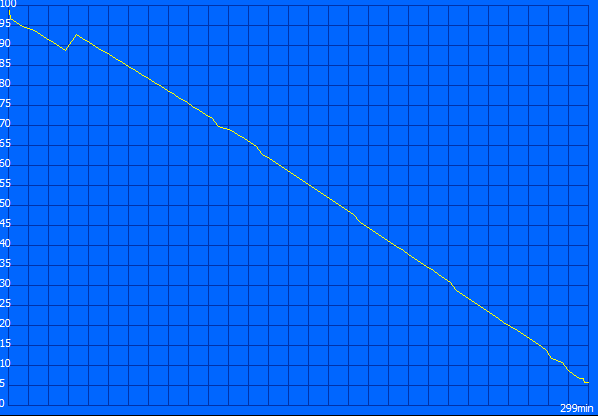 The bottom of the notebook, for example, rose to a temperature of 45 degrees C near the vent, while the corner furthest from the vent was a full 15 degrees less. The change in keyboard surface temperatures was less dramatic, but a big difference in warmth can easily be felt by the user's palms. 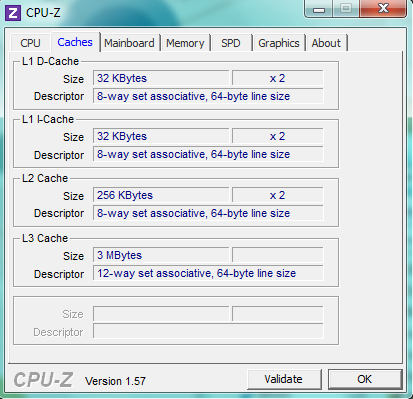 Throttling was also observed when running FurMark and Prime95 simultaneously. According to HWiNFO, the second core reached 100 degrees C and was subsequently marked as “throttling”, while the first core had a slightly lower maximum temperature of 96 degrees C. Both cores started out above 2.5GHz in the beginning of the test, but the Turbo Boost benefits quickly stopped. 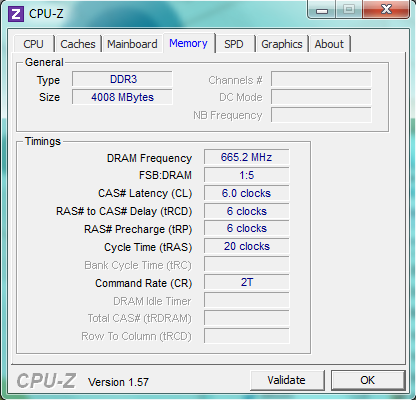 Eventually, the two cores settled with a final speed of just 1.7GHz each towards the end of the stress test. 3DMark 06 immediately following the test was reduced by a little over 100 points at 3537 point total. The GPU, however, never dropped below 650MHz and continued to fluctuate up to the Turbo Boost maximum of 1300MHz. Ambient temperature during the stress test was 21 degrees C.
No throttling was observed when stressed with just Prime95. Core speeds started out above 2.5GHz, but eventually flattened to a more normal 2.4GHz to 2.5GHz range as the Turbo Boost had no headroom to work properly. (-) The average temperature of the palmrest area of similar devices was 28.6 °C / 83.5 F (-7.6 °C / -13.7 F). Unique to the HP 5330m is the inclusion of Beats Audio technology, a first in the ProBook m series. The notebook is labeled with the logo at perhaps one location too many, as it can be clearly seen on both the monitor edge and outside front. The tech promises optimal sound quality given the limited size of notebook speakers. Unfortunately, speakers in a 13.3-inch notebook can only go so far, even with the enhanced audio technology. Sound quality is acceptable, but expect less from the speakers as volume is turned up towards the maximum. The volume is loud and clear enough to fill a conference room, but we still suggest using external solutions for movies and extended music sessions. The reviewed model is equipped with a 4-cell Li-Ion polymer battery rated at 14.8V and 41WHr. The battery is located on the bottom of the notebook and is thus flat and thin as opposed to larger batteries that attach to the notebook’s backend. The HP Power Assistant allows direct access to power profiles and wireless connections so users can quickly disable and modify power-draining system settings more easily than with the default Windows Power Manager. It also includes a scheduler for user-defined automatic power profile switching. According to the BatteryEater Classic Test, the 5330m achieved a minimum battery life of 56 minutes before automatic shutdown at 5%. 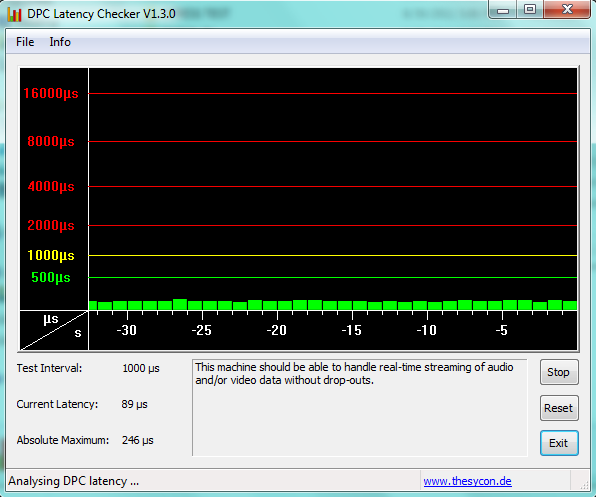 This was done with full screen brightness, WLAN enabled and under the Windows High Performance power option. A maximum battery life of 299 minutes was obtained with the Reader’s Test at minimum screen brightness, wireless disabled and the Windows Energy Saver mode. A more reality-oriented test was done at 66% screen brightness while surfing the net with Adobe Flash enabled and the Windows Balanced profile. The notebook reached up to 191 minutes, but this result will be highly variable depending on how many videos and applications the user could be demanding. 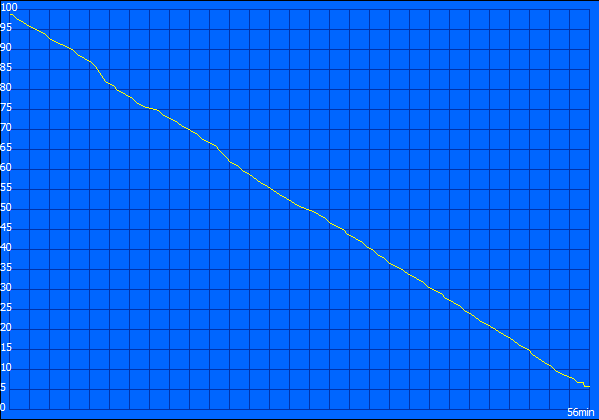 As such, actual run time is highly tied to the user’s needs. The notebook will die rather quickly with heavy applications and too many background activities, but should last noticeably longer if used mostly for word processing, notetaking and presentations. Still, at only around 3 hours with some videos mixed in, we recommend keeping the power adapter nearby. For comparison, the larger 15.6-inch ProBook 6560b with the same CPU was able to last a little over 5 hours when left idle, although it includes a larger 6-cell battery. The similarly equipped 12.5-inch Lenovo ThinkPad X220, 14-inch Toshiba Tecra R840-11E and 13.3-inch Sony Vaio VPC-SB1Z9EB can all last a couple hours longer than the 5330m. The power consumption at idle at the lowest brightness setting comes in at 14 watts, according to the built-in HP Power Assistant. Under load and maximum brightness, the total power draw hovers around 61 watts. 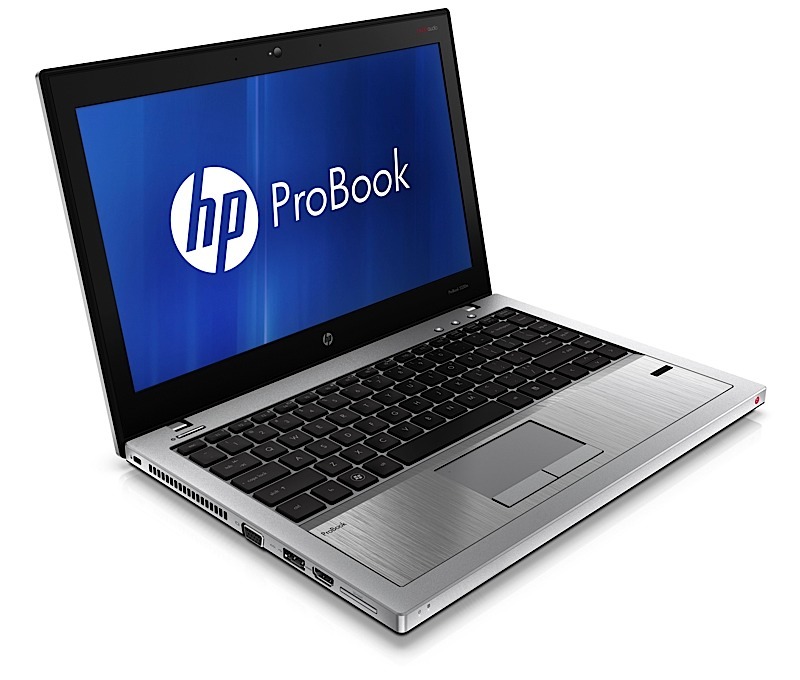 For every feature the HP ProBook 5330m excels at, it misses the mark in an equal number of key areas. For example, the notebook base is built sturdy with its magnesium alloy chassis, but its lid is comparatively more delicate. A standard voltage Core i5 CPU can handle most applications thrown at it, but is tied to a weak battery. The screen is passably bright at its center, but is so unevenly lit that prolonged outdoor use should be avoided. There seems to be an unfortunate opposing corollary for each attribute done adequately well. Additionally, there are no options for a larger battery, so heavy notebook users may need to lug around a second battery in case or downgrade the CPU to a Core i3-2310M. 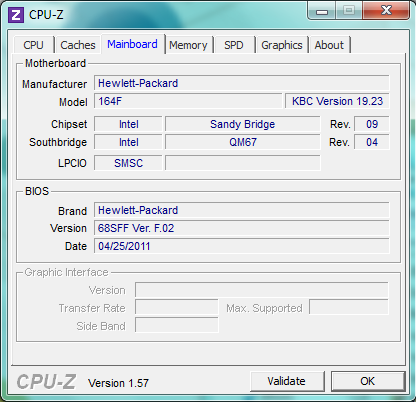 Note that the Core i3 model omits the Intel vPro Technology and software, however. 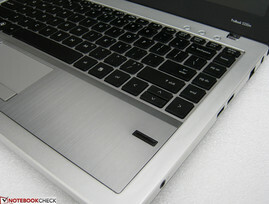 A SIM card slot would have been a great addition as well, especially when the older ProBook 5310m included the option. All in all, the ProBook 5330m offers a very straightforward and unobtrusive design with extra data protection, additional layers of login credentials, a speedy processor and a more sophisticated power manager. Those interested in the built-in security software features and don’t require an all-day battery life can consider this HP notebook. The magnesium alloy chassis and additional layers of security features are standout attributes of the HP 5330m. The SIM card expansion has been removed. The screen quality and notebook lid could have been better. The HP 5330m comes with better than expected security software for business users or anyone with sensitive data. 15.6-inch HP ProBook 6560b, 12.5-inch Lenovo ThinkPad X220, 14-inch Toshiba Tecra R840-11E, 13.3-inch Sony Vaio VPC-SB1Z9EB, 14-inch Samsung QX412, 13.3-inch Acer Aspire 3830TG.